Health care reform is one of the most serious issues facing the United States today. Past efforts at reform have been met with opposition from insurers, hospitals, doctors, business groups and political parties, and that opposition has stymied reform while the problems continued to worsen. Today, there is more general acceptance of the need for reform but the level has not occurred uniformly across all stakeholders. 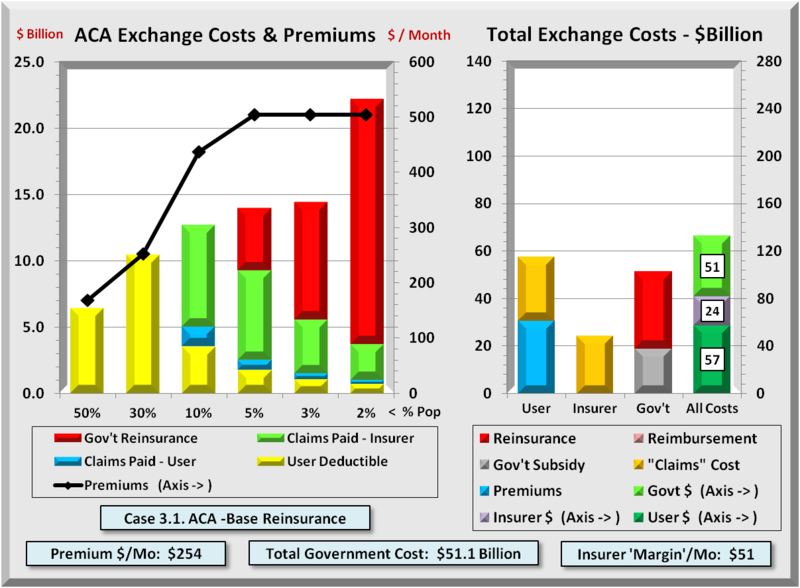 Insurers are recognizing the need to drop the most onerous “pre-condition exclusions” and providers are recognizing the need to get more efficient themselves. Consumers of healthcare are a more divided lot. Those who have health insurance coverage through work and who have never suffered a significant illness or injury may think this problem applies more to other people. Conversely, those who have experienced medical problems or have lost jobs and health insurance are more aware of what has gone wrong with the system and are looking for better access to health care and better control of costs. What the following shows is that health care problems cut across virtually all characteristics with adverse trends occurring in all areas except Medicare Prescription Drugs. 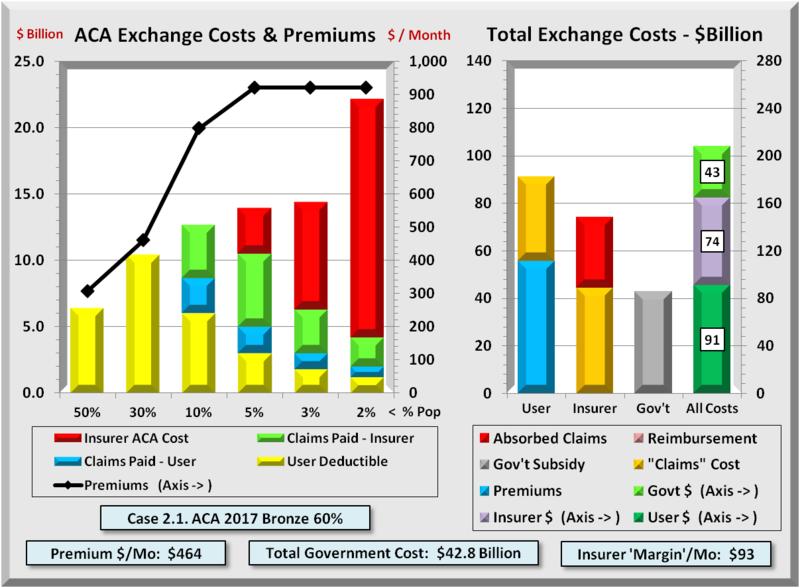 Insurance through the workplace is down, premiums as a percent of compensation are up, out-of-pocket costs are rising, insurance coverage by age group, marital status, race and region are all declining, and more people are not getting needed medical care or drugs because of costs. Finally, all this is aggravated by the rise in unemployment that has put at risk health insurance coverage for millions more Americans. The graph below shows the percent of employees obtaining insurance through their workplace by 4 regions and the USA as a whole. The trend is almost consistently downward beginning around the year 2000. The Midwest which once had the highest percent of employees insured, has dropped some 8% in just 6 years. The Northeast and Midwest do, however, continue to lead the South and West in terms of percent of employees covered, and all regions experienced a coverage downturn in the late 1980’s and early 1990’s, a period of both slow growth and a recession. 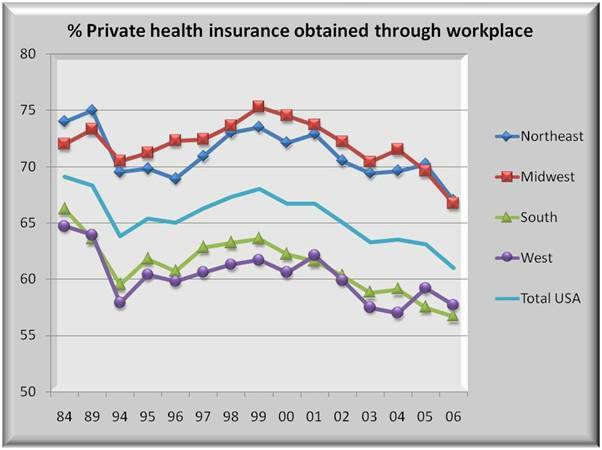 If coverage declines in the current recession anything like that of 1991, there may be continued steep declines in workplace provided health insurance beyond the scope of this graph. 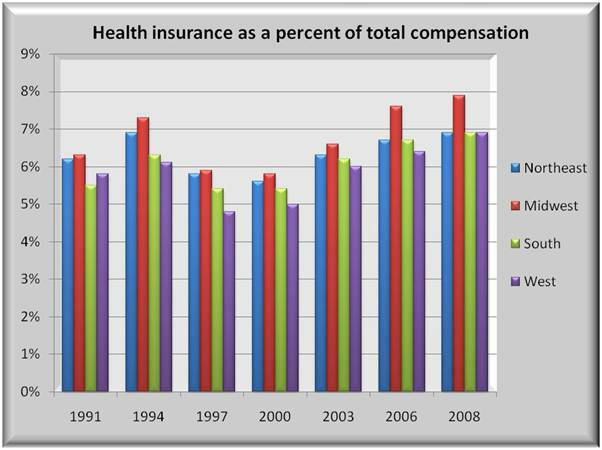 The graph below shows the percent of total compensation going towards health insurance. Since 2000, the trend in all regions is uniformly upward. 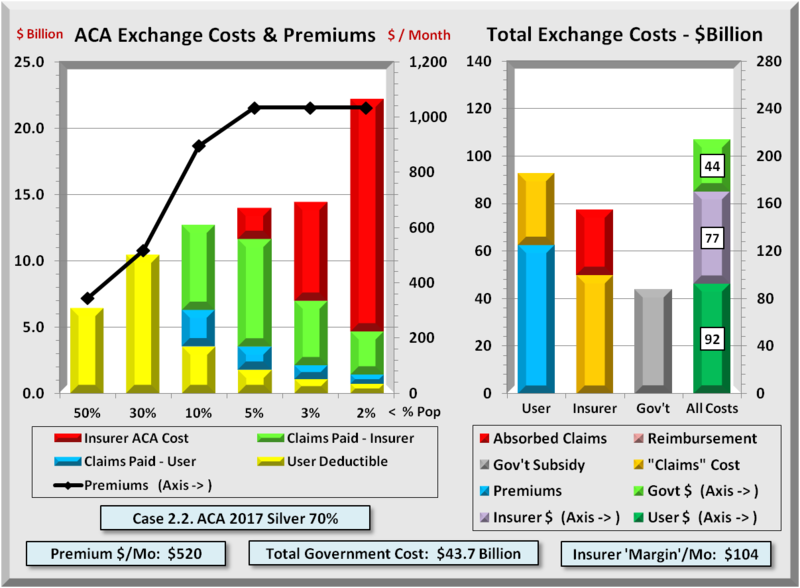 What the graph does not show is the percent of total compensation going towards co-pay and deductibles which are also rising. The Midwest pays the highest percent of compensation, both currently and in the past. The West and South, which at one time lagged behind the Northeast, are now tied. With insurance a percent of compensation, the average compensation for these regions affects insurance. The South continues to lag due to low average compensation. 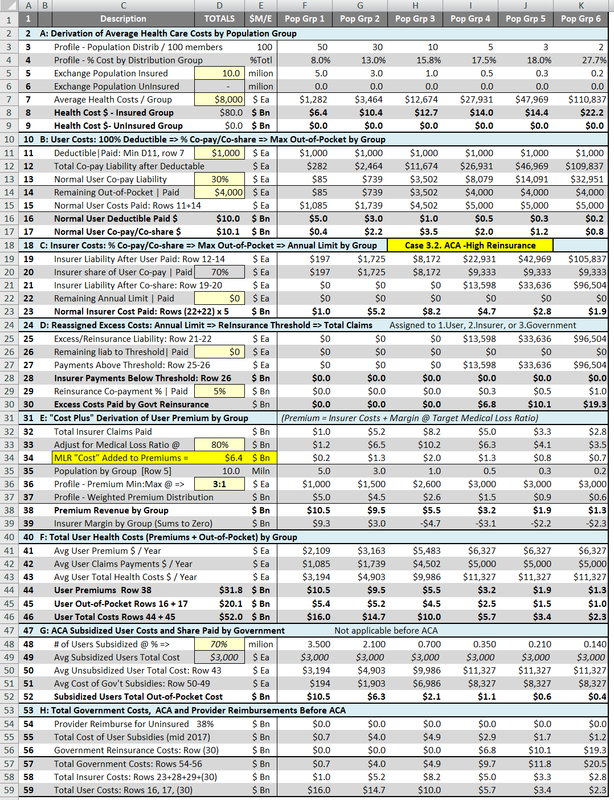 The Midwest insurance cost is mitigated somewhat as its compensation is lower versus the Northeast or the West. 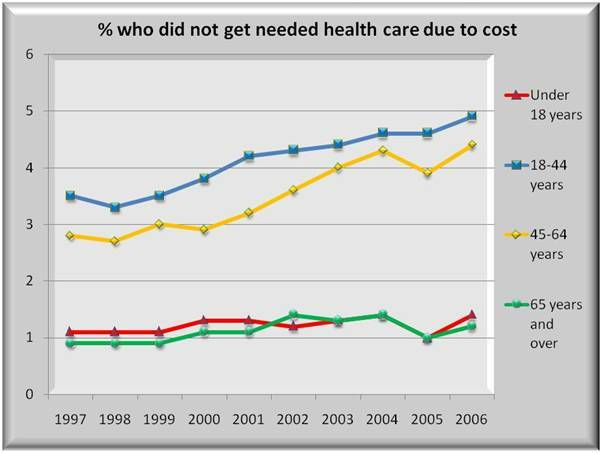 From any viewpoint, health care costs are rising faster than compensation and putting a heavier burden on all. Not only are insurance premiums taking a growing percent of compensation, but out-of-pocket costs are compounding the problem. 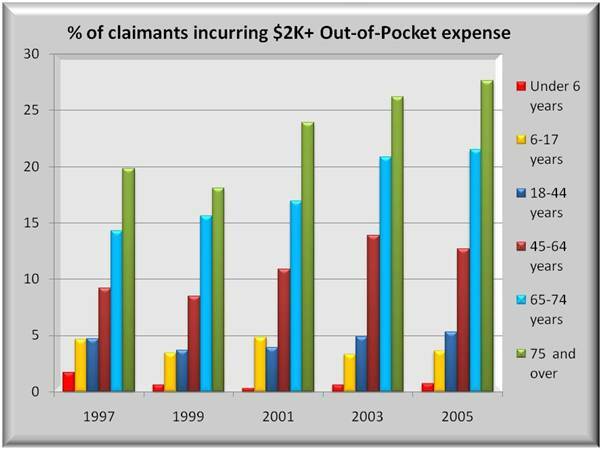 The graph below shows the percent of those having medical and drug claims whose out-of-pocket cost exceeded $2,000. The trend is upward for all but children under the age of 18, and it is climbing most steeply for seniors 65 and older. 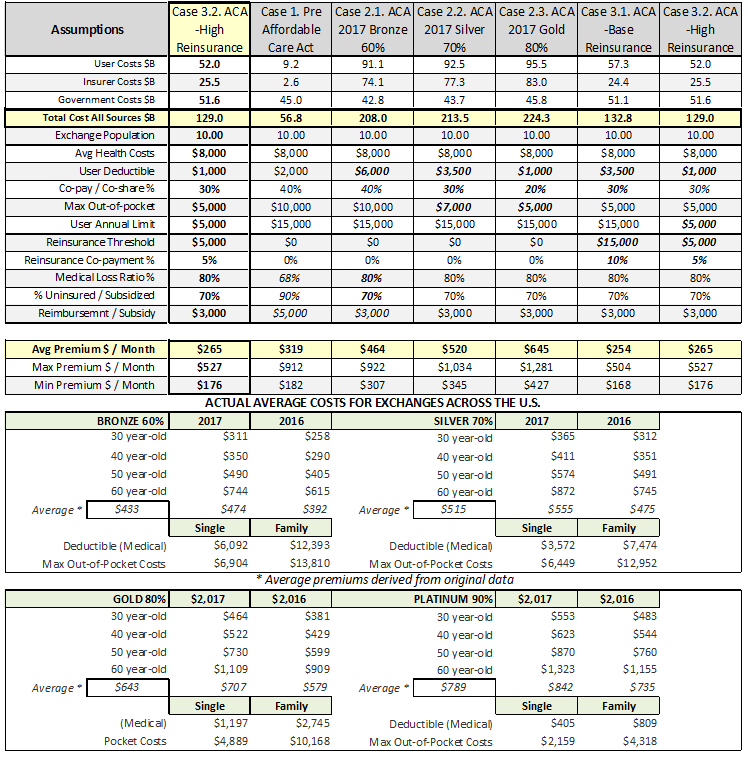 These steep increases for seniors has been mitigated by the Medicare Part D drug program whose effects are not yet evident in the time periods shown. The message is that having insurance does not fully protect persons who are struck by illness or injury. There are still risks of significant expenses. And those who have never incurred serious illness or injury tend to be less aware of the out-of-pocket costs that they may incur. 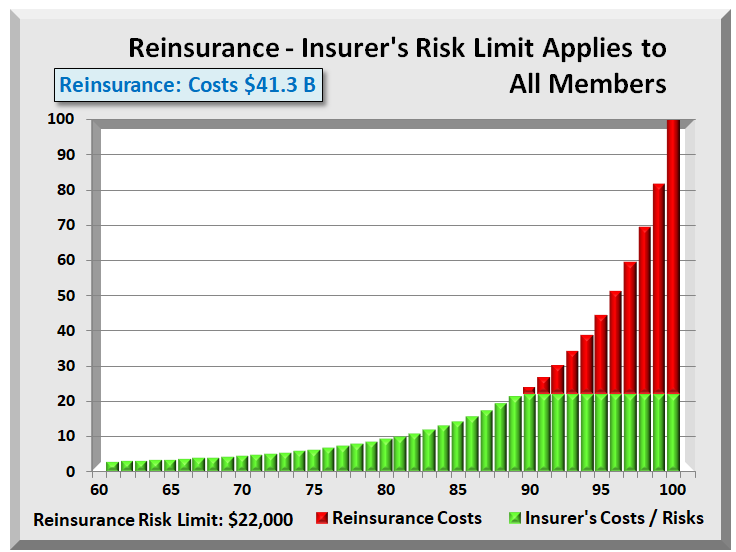 A graph above showed the decline in insurance coverage obtained through the workplace. 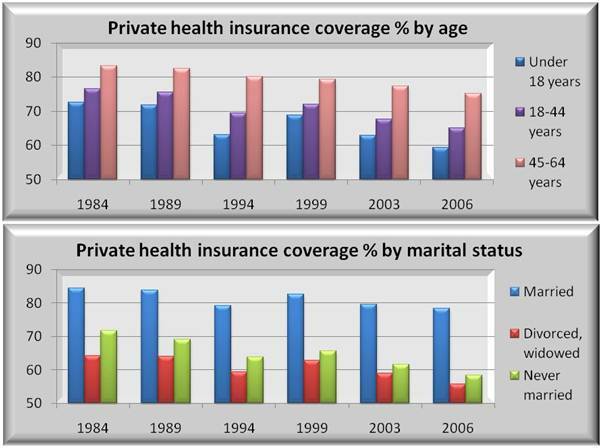 Although that is where most get their health insurance, the graphs below are for all persons under 65 and for all sources of insurance. 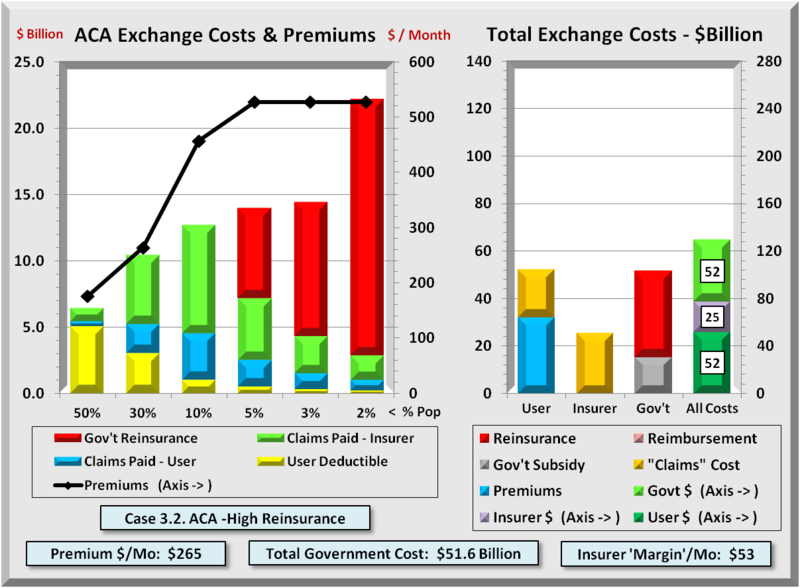 Those with health insurance coverage have been on a downward trend for all classifications. 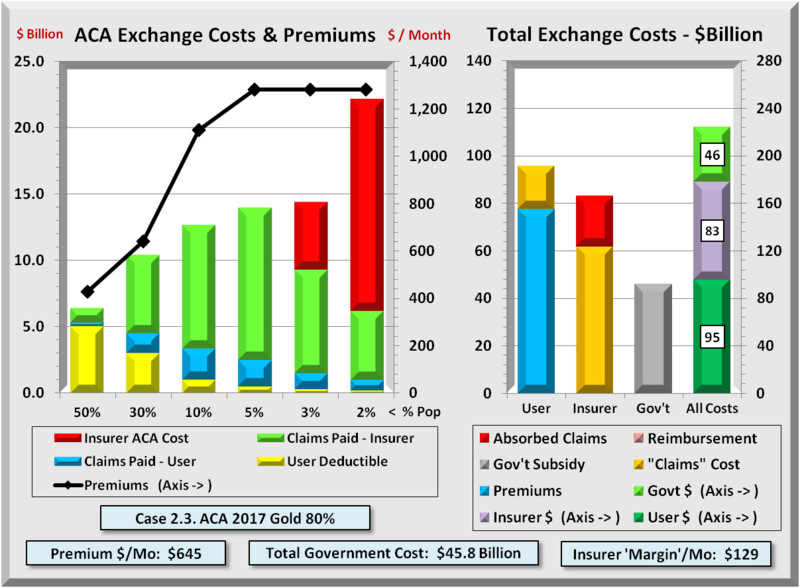 As expected, when a person gets older, health insurance becomes more important and that is born out in the upper right graph. Possibly a more disturbing trend is the lower graph where single, divorced or widowed people lag significantly behind married people. One conclusion is that families are very conscious of their children’s health care and covering them nearly always includes covering themselves … because that is how most insurance is sold. 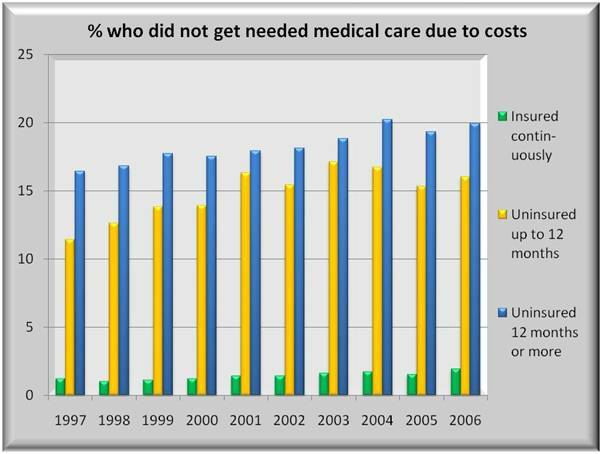 The graph below shows the percent of people under the age of 65 who did not get needed medical care due to costs. More importantly, it only includes persons whose income exceeds 200 % of poverty level or about $44,000/year income for a family of four. 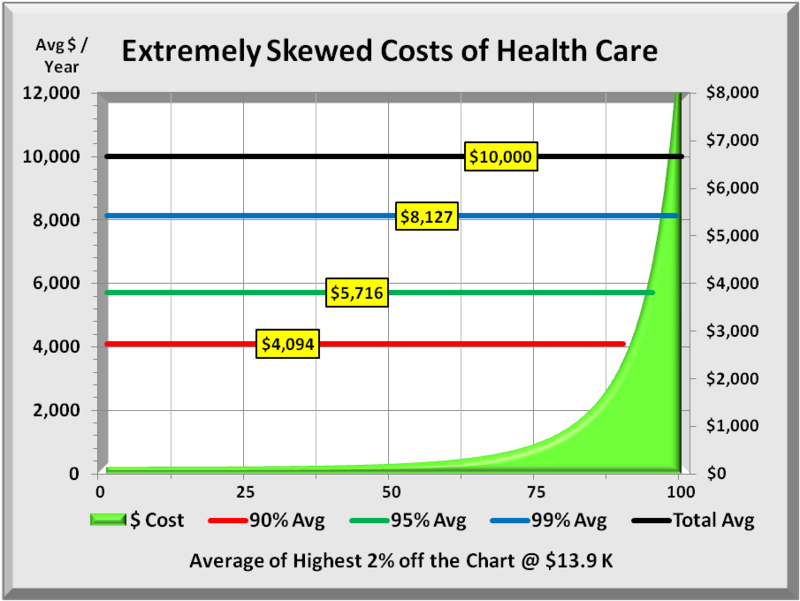 It is understandable that people with no medical insurance are less likely to get medical care due to costs. However, even some with insurance do not get that care because of co-pay and other out of pocket expense. And roughly the same trend exists for those who lose health insurance for less than a year as for those who lose insurance for more than a year. The graph shows an upward trend of 20% over a 10 year period and suggests little sign of change. 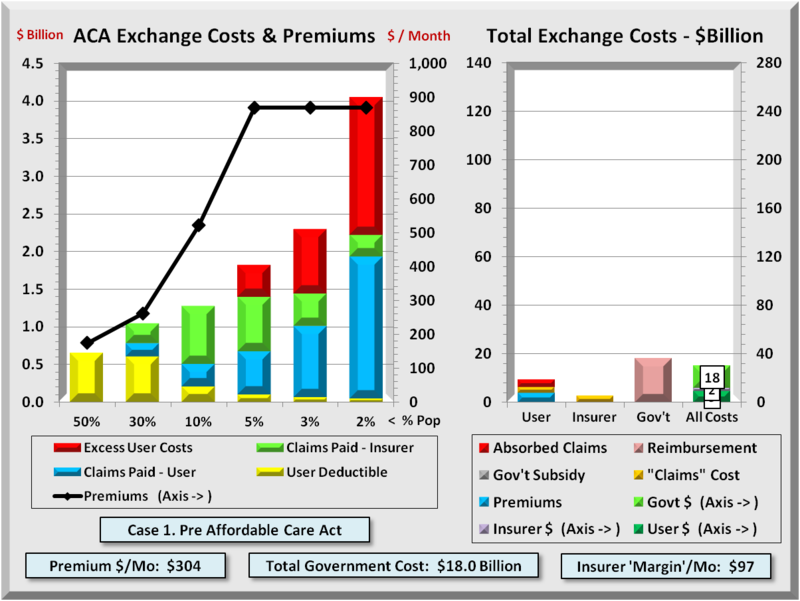 The decline in insurance coverage is aggravating the situation even more. The graph below is similar to prior but includes people over 65. As above, it only includes persons whose income is greater than 200 % of poverty level. Those not getting needed medical care also varies by age, whether or not insured. Both older people and children are less likely to skip needed medical care due to costs while the two middle age groups appear willing to risk skipping needed care. Still, the trend for middle age groups is up. Not getting needed medical attention can lead to more serious consequences if not treated promptly. 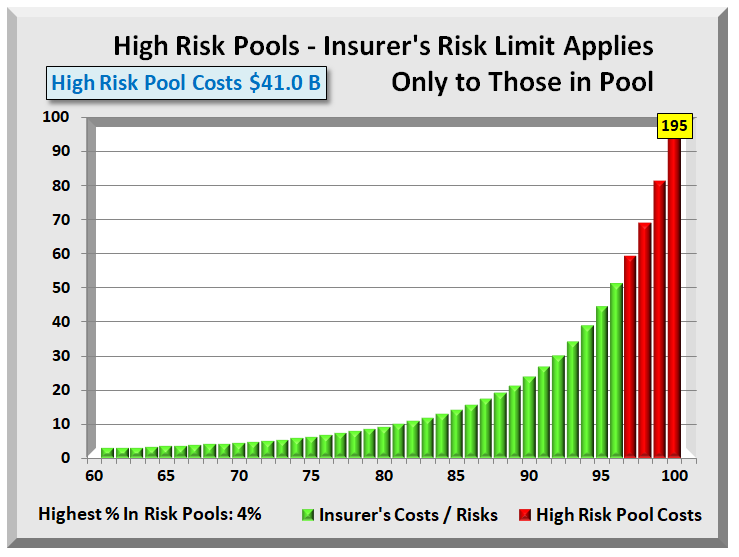 This is a risk that affects all people, not just the less well off. 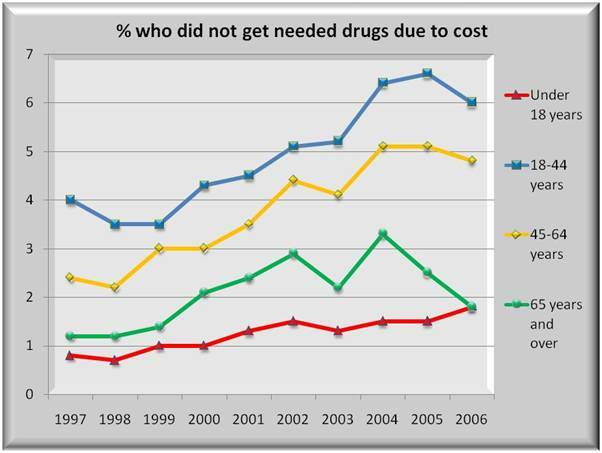 The graph below shows the percent of people under the age of 65 who did not get prescription drugs due to costs. This graph also only includes persons whose income exceeds 200 % of poverty level or about $44,000/year income for a family of four. Similar to the medical care graph, the trend is upward with more people forgoing needed drugs over the last 10 years. However, there is a recent and measurable change in access by longer term uninsured as they appear to be getting some form of help with their prescriptions. For those uninsured less than a year, the graph shows more skipping drugs, and the upward trend is worse than appears for basic medical care. 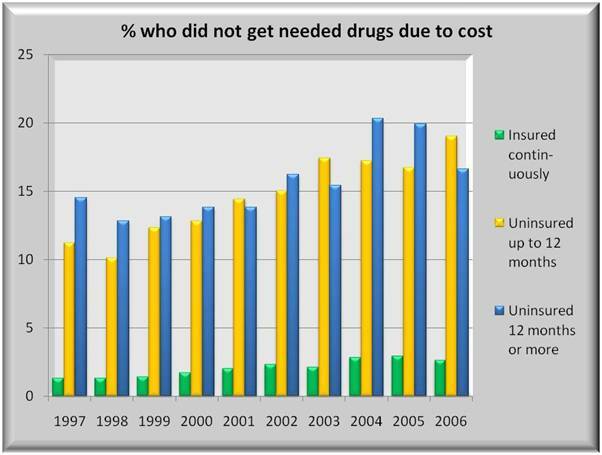 And like medical care, the steady decline in insurance coverage is aggravating the access to drugs even more. The graph below is similar to above but includes people over 65. As above, it only includes persons whose income is greater than 200 % of poverty level. Those not getting prescription drugs also vary by age, whether or not insured. A significant drop in not getting drugs among those over 65 was significantly affected by the introduction of Medicare Part D prescription drug program that lowered costs for seniors. Though that program is not inexpensive, costs are lower, and so more are able to stay current on their medications. Children are being adversely affected as drug costs continue to eat away at parents’ ability to buy drugs for them. Fortunately, this lack of access is at low overall levels but a potentially serious problem for those who are affected.